The file named WMSDMOE2.DLL is developed by Microsoft Corporation. The DLL file is an integral program for Microsoft Windows Media Services and the Corona Media screen encoder. 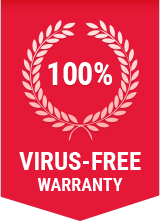 It is safe against virus attacks. Timely security updates are rolled out. The threat level is kept under control and is at 1. WMSDMOE2.DLL is located in C:\Windows\System32\wmsdmoe2.dll. The total size of the file found is 1.1 megabytes. The version of the program found is 9.00.00.3250. The system process will have adverse effects if it is removed due to virus infection. The program is essential for Windows operating system to run and can be fixed only by re-installing the OS. How to determine if your computer is infected with WMSDMOE2.DLL malware? Step 2: If you notice the file located outside C:\Windows\System32\wmsdmoe2.dll, perform an antivirus scan to get rid of the malware. How to remove WMSDMOE2.DLL malware from system using Comodo Antivirus? Step 8: Comodo Antivirus will remove WMSDMOE2.DLL malware from your computer including all other malwares!